This entry was posted on October 11, 2011 by lds architecture. It was filed under Building Exteriors, Meetinghouses, Milwaukee Branch, United States, Wisconsin . 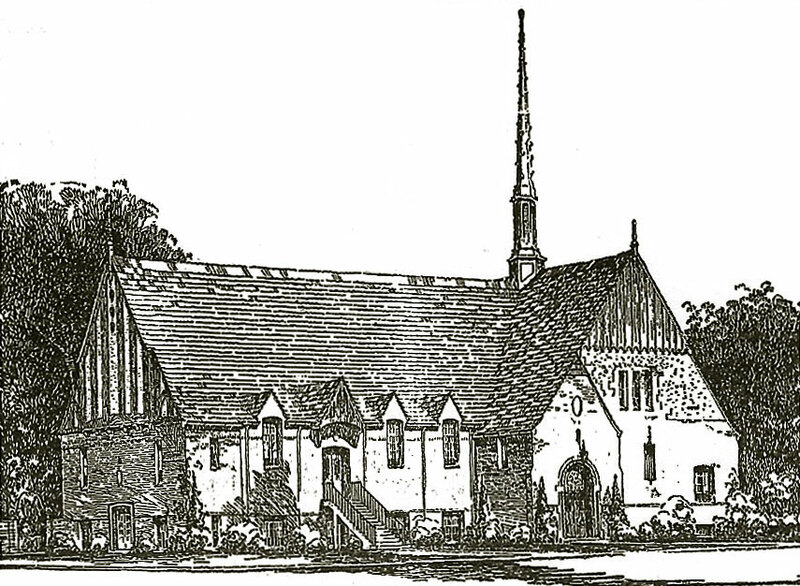 This drawing reminds me a lot of the style and massing of the Colonial Heights chapel in Portland OR completed about the same time…. maybe just a coincidence, but it’d be intersting to know if they have the same design pedigree. Do you know if this was designed by someone local to Milwaukee? Great question – I don’t know the architect of this building yet. But the Colonial Heights building was indeed built at a similar time (1928) by Charles F Kaufman. So it is definitely possible. Google street view has some okay images. Yes, the street view photos are definitely getting better in quality. I have a few pictures of the interior and one of the exterior… They arent the best pictures though. I served my mission in Milwaukee. I went to Church activities as a youth in this building – incredible!